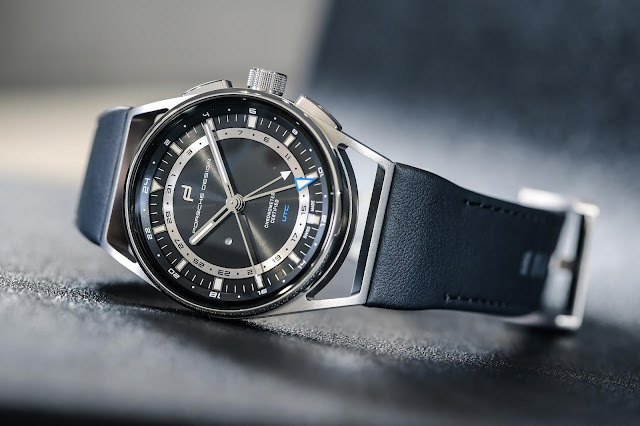 The design of the Jaeger-LeCoultre Polaris Geographic WT is inspired by the 1968 Memovox Polaris watch, one of the Grande Maison's iconic models. While its entirely redesigned curves give it an air of sporty elegance for a daily wear and cosmopolitan outlook, its bold, adventurous spirit remains unchanged. 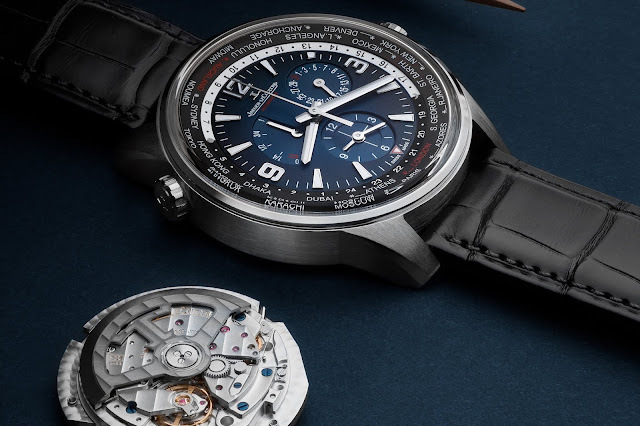 The 42 mm case houses the Calibre 936A/1, a mechanical self-winding Jaeger-LeCoultre calibre bringing a new feature to the collection: the geographic function, ideal for both travellers and men of action. The day/night disk, clearly divided into two black and white sections, is instantly recognisable and indicates whether it is day or night in the local city – and therefore in the second time zone of choice. One slight, yet eye-catching detail on the disk is the small sun indicating the daytime hours – black numerals on a white background – and the little crescent moon for the night hours – white numerals on a black background. The new Polaris Geographic WT completes the Jaeger-LeCoultre Polaris collection that was successfully unveiled in January, at the SIHH, in Geneva. This model is issued as a series of 250 pieces and it will exclusively be available at the Jaeger-LeCoultre boutiques.